Discussion Color Temperature of lights in workspace? Color Temperature of lights in workspace? 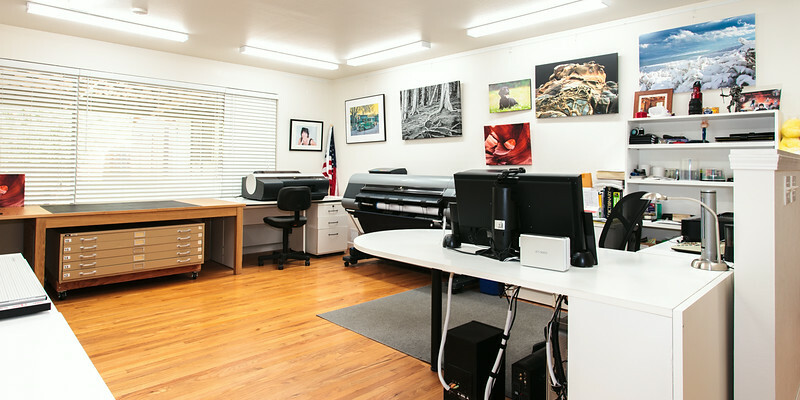 My office where I post process has track lighting overhead - used to light workspace and photos on wall. My current light bulbs are not great - bought at Home Depot. CRI is maybe 80. I'm planning to buy Soraa LED bulbs with a CRI of 95. The million dollar question is what color temperature should I get: 2700, 3000, 4000, 5000K? I'm leaning toward the 5000K and may then calibrate my monitor to a 5000K temp (?). Just a bit concerned it will be too blue of a light for day to day use. Also the 5000K seem to be the most difficult to get and are rarely in stock. Soraa has a very good reputation. I chose to use Phillips florescent F32T8/950 bulbs. Color temp 5000K and a CRI of 98 for my small (17' X 14')studio work area. I have 7 dual 48" light fixtures to light the work space and the room is almost shadow free. Most icc profiles are designed at 5000K. That's a really nice looking space Sam. Thanks for the thoughts on the 5000k. Guess I'll bide my time as I wait for them to be delivered where I pre-ordered them. I can't remember where I picked up the idea, but it was suggested someplace and I recently set up my office/editing space with 4000K lightbulbs. Purchased from Amazon. Cool and white. They took a while to get used to, but I think it's a good temp under which to view photos. Rather neutral.